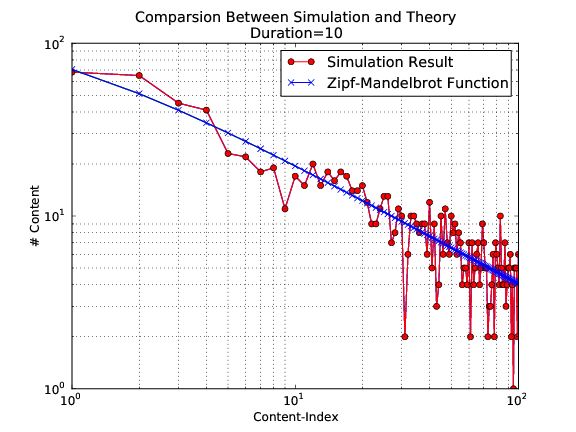 ndnSIM includes a few reference applications that can be used as a base for NDN simulations. ConsumerCbr an application that generates Interest traffic with predefined pattern (constant frequency, constant average rate with inter-Interest gap distributed uniformly at random, exponentially at random, etc.). 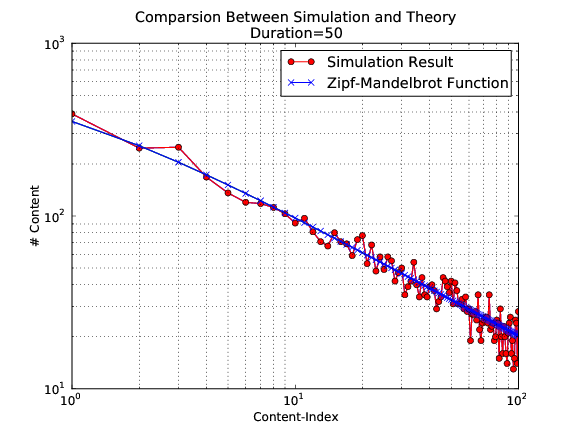 An app that requests contents (names in the requests) following Zipf-Mandelbrot distribution (number of Content frequency Distribution). This class is a subclass of ConsumerCbr. Frequency and Randomize attributes can be used in the same way as in the base ConsumerCbr applications. ConsumerBatches is an on-off-style application gen- erating a specified number of Interests at specified points of simulation. ConsumerWindow is an application generating a variable rate Interest traffic. It implements a simple sliding-window-based Interest generation mechanism. If Size is set to -1, Interests will be requested till the end of the simulation. Producer a simple Interest-sink application, which replying every incoming Interest with Data packet with a specified size and name same as in Interest. Applications interact with the core of the system using AppFace realization of Face abstraction. To simplify implementation of specific NDN application, ndnSIM provides a base App class that takes care of creating AppFace and registering it inside the NDN protocol stack, as well as provides default processing for incoming Interest and Data packets. The following code shows how a simple ndnSIM application can be created, and how an application can send Interests and respond with ContentObjects to incoming interests. When this application starts it sets “interest filter” (install FIB entry) for /prefix/sub, as well as sends Interest for this prefix. When an Interest is received, it is replied with a ContentObject with 1024-byte fake payload. For more details refer examples/ndn-custom-apps/custom-app.hpp, examples/ndn-custom-apps/custom-app.cpp and API documentation of ndnSIM and NS-3. // register NS-3 type "CustomApp"
// Note that Interests send out by the app will not be sent back to the app ! The following code demonstrates how to implement a basic producer application that “hijacks” all incoming Interests. // inherited from Application base class.